Implementation of new technologies has the potential to drastically change the construction industry, helping businesses cut costs and improve efficiency. Are you wondering what types of technology can provide your construction company with the most direct business value, helping you lead the market? Let’s review the top five innovative technologies for construction companies. Effective design management software can have an impact on every aspect of construction, from scheduling to contract management. One focus is on Building Information Modeling (BIM) software that can provide 3D renderings of all building systems in a single plan, so that it’s easy to identify clash points such as between HVAC and electrical loads, for example. Additionally, software innovations are increasingly offering mobile apps to allow real-time collaboration that can occur while out on the job site. Managing human resources can be a costly expense. Implementing field productivity technologies is one way that construction firms can achieve better operating margins, up to 20 to 30 percent. Consider how technology can make your operations more efficient by tracking crew deployment in real-time to monitor each employee’s hours and help you juggle staffing between different sites. You can also use software to make it easier for onboarding, tracking certifications, safety trainings, and tracking on-the-job accidents. In industries where staff needs to be mobile, or is distributed across job sites, landlines are ineffective infrastructure. As a result, many firms rely on cell phones to provide the necessary communications mobility. However, this choice comes at a cost. When staff is using cell phones, callers cannot be transferred between employees, vendors are never sure what line to call, costs are duplicated, and staff has multiple voicemail boxes to monitor. 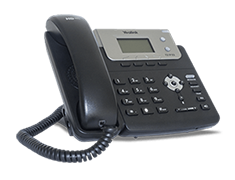 Voice over Internet Protocol (VoIP) phone providers such as Ooma Office provide affordable phone service that incorporates landline-style features of a centralized business line while allowing for a mobile workforce with the Ooma Office free calling app. With this technology, employees have one work line that rings both at their desk and on their mobile device, creating a streamlined way for staff to stay connected. The app doesn’t replace a user’s primary phone number, and is instead an add-on tool. Not only does this technology mean that you don’t have to invest in new hardware, but it also allows your workforce to place and receive phone calls while on the job site as though they were at their desk. Intelligent construction sites are increasingly leveraging construction bots for automation or mitigating risk. Drones can be used for surveying sites. Other tech developments include a bricklaying robot and an Autonomous Track Loader. More than machinery, smart job sites can be used to monitor workers intelligently. By adding RFID tags to hard hats, workers can be automatically monitored to prevent workplace injuries or to issue hazard alerts. Additionally, resulting location analytics can be used to automate reports for billing or to identify when projects fall behind schedule. It’s no longer necessary to wait until after a building is framed-in before walking through the space. Using virtual reality, you can create virtual mockups for client presentations, to improve construction efficiency, or even to conduct user tests. 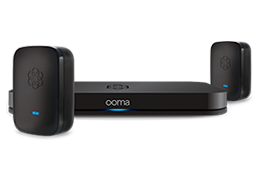 Learning more about the Ooma Office business phone can put you on the cutting edge of communications technology.